Living with Scoliosis has never made me live any differently to anyone else. It is not uncommon. I have learnt that alot of people have it in varying degrees. Just about everyone I know says that they don't even notice my back! I think when you have Scoloisis you think that everyone notices it, and you also continually compare your back to others. I have talked to friends about this, as I am always looking at other people's backs when I walk down the street. They always have the same response...they think I'm silly! They just don't look at people's backs at all, and say that when you get to know a person, you just don't see it at all. When I was younger, I used to be very self conscious about my back and always wore baggy clothes to cover it, but as I've got older, I've learnt that it is part of me, and that there are alot of people who live with worse conditions than myself. My Scoliosis has not stopped me from following my career path. I love my job working as a packaging designer. In fact it has never stopped me doing anything I've wanted to do in life at all (apart from some sports). I also design hats, and once at a fashion parade in Sydney, I had to get up on a catwalk to parade my hat...and I got first prize! Walking down that cat walk was one of the hardest things I have had to do, because I thought everyone would be noticing my back, but it made me realise that nobody focuses on it like I do! The right exercises have really helped me manage my Scoliosis. Friends have said that they think I am straighter now than when I was younger. You can do so much to help yourself! I think what has really helped me, is understanding what Scoliosis is about, and understanding what is happening in MY back, so that exercises make sense. I also find that positive visualisation and a positive outlook really do make a difference. If you think 'straight and tall', then you walk straight and tall! Never is too late for scoliosis treatment, but if we start treatment earlier, correction will be easier. to have curves that can progress. 2/AGE - the younger the child when scoliosis appears, the bigger chance of progression. 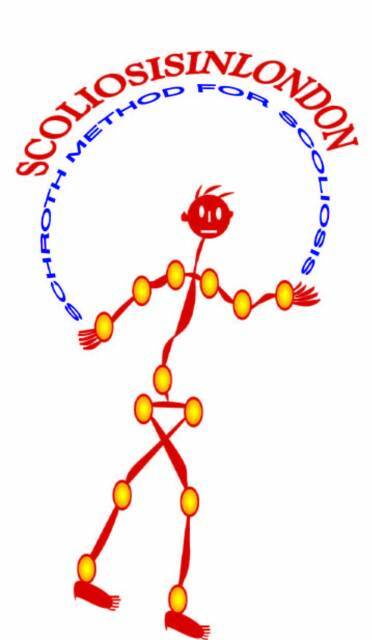 3/GENETIC FACTORS - it is thought that scoliosis runs in families. Early detection may lead to early treatment,which may stop the curve from getting worse/surgery.